Welcome to the Weather Station maintained by the Brigham Young University Department of Physics and Astronomy. This is not an official station. The instruments are located on the roof of the Eyring Science Center on the BYU campus in Provo, Utah (official station instruments should be located near ground level). Our intention is to provide a detailed look at local weather history and correlations. 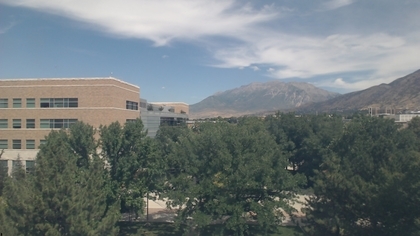 This page and many of the subpages are currently maintained by the BYU ESC weather station manager. Constructive comments are welcome.